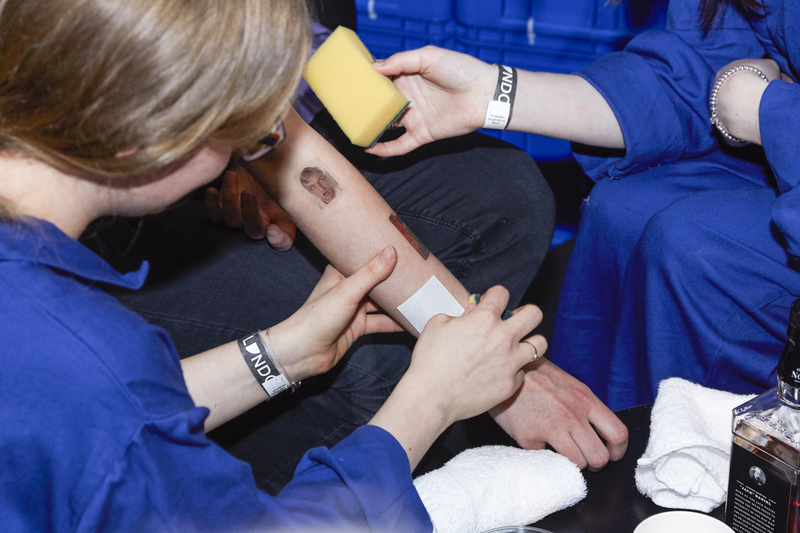 The strangest images on the internet printed onto peope’s skin. During the Offprint 2015 publishing fair at Tate Modern (Britain), Self Publish, Be Happy celebrated its fifth birthday by opening a project space called Play With Me hosting workshops, performances, screenings and a speakers’ corner where anyone could talk about the books they loved. We played with many different photographic and printing processes, but all with the aim of inspiring the audience to make their own books. 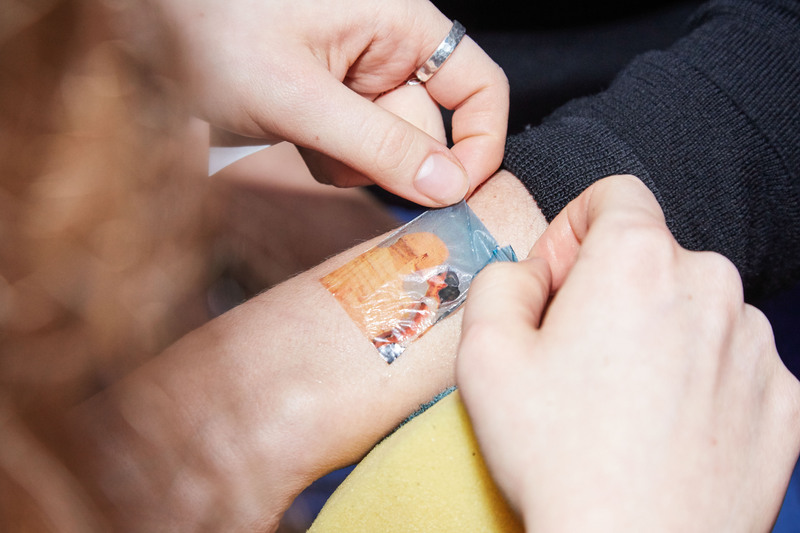 At French photographer Thomas Mailaender’s Fun Tattoo Parlour, visitors could choose a temporary tattoo from his personal archive of over 11,000 found internet images and have it transferred onto them, making their body into a moving exhibition space.